Tilgul Poli or Gulachi poli is an authentic Maharashtrian delicacy. 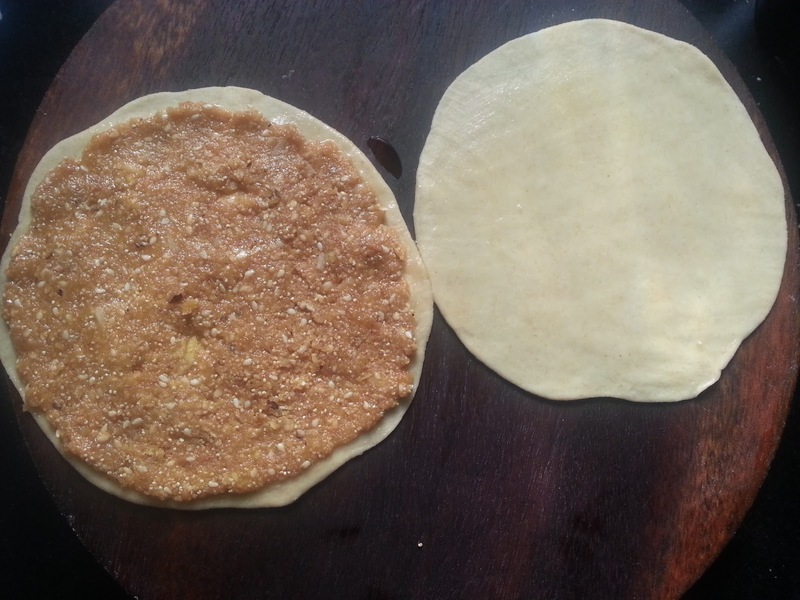 It is basically a Jaggery, Sesame seeds and Poppy seeds stuffed roti specially offered as naivedhyam (offering to God) on the auspicious occasion of Makar Sankranthi. 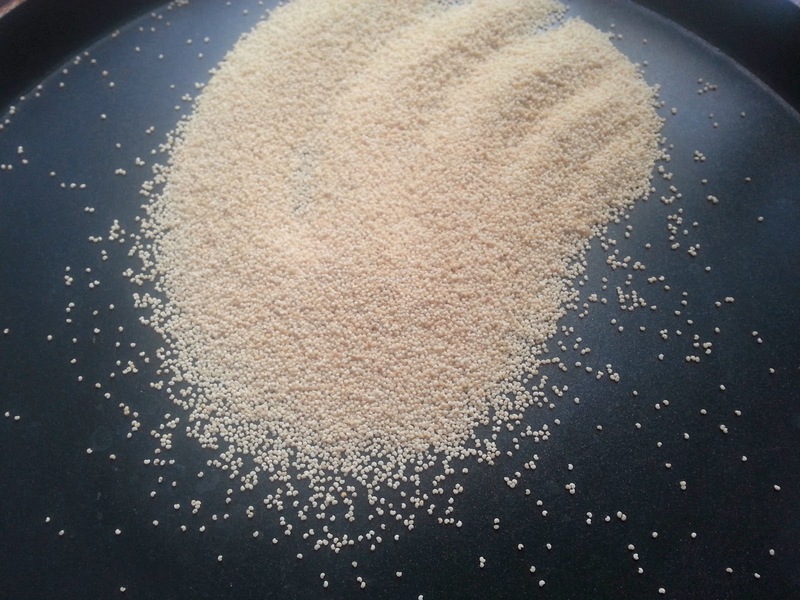 A crispy preparation which can be made in advance and stored at room temperature even for a week. 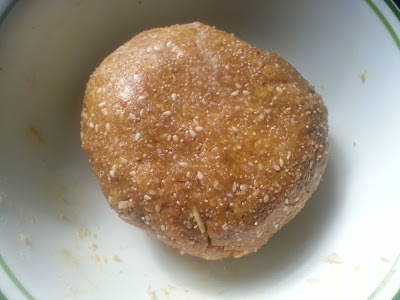 Serves as a healthy snacks and a great option during travelling because of its long shelf life. 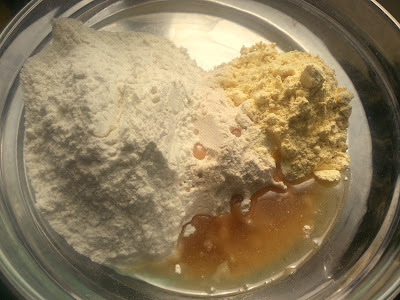 Mix all the flours , add a pinch of salt . 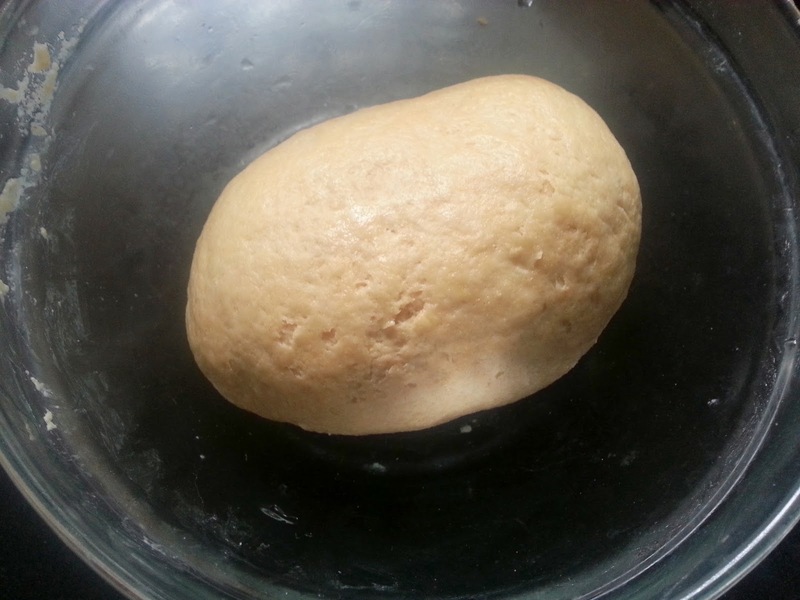 Add the hot oil , mix well and knead the flour into a soft dough. Cover the dough and keep aside for at least 30 minutes. 2. 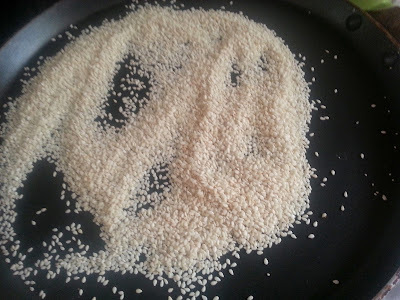 Dry roast the Sesame seeds, Poppy seeds and grated coconut one by one on a low flame on a skillet. 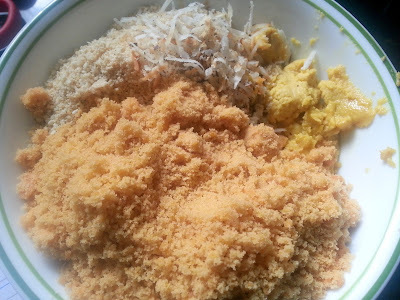 Grind the sesame seeds and poppy seeds and keep in a mixing bowl with the roasted grated coconut and grated Jaggery. 3. In the same pan heat up ghee and to it add the besan . 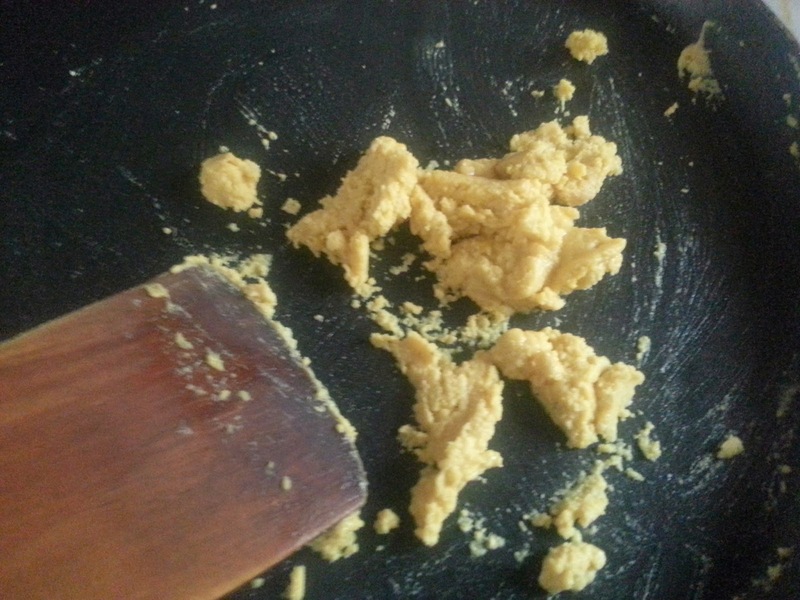 Roast it on a low flame until the chick pea flour becomes fragrant and changes its color to light brown. 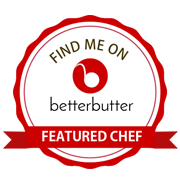 Add this flour also to the mixing bowl . 4. Mix all the ingredients of the stuffing well. Now add the Cardamom and Nutmeg powder to it and mix again. If the jaggery you are using is sticky, your stuffing can form a dough. 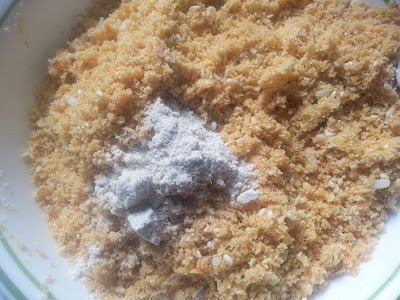 If the stuffing appears dry and you cannot make a dough, then add 1 or 2 tbsp milk to it. 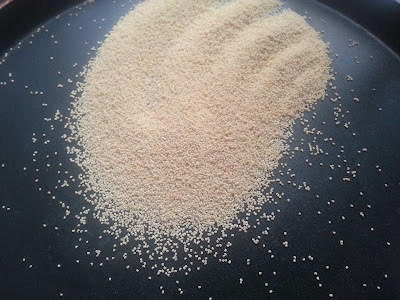 Add the milk drop by drop and mix and see. The stuffing should be soft but not wet. 5. 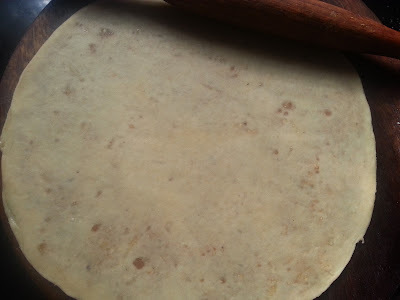 Pinch out 2 small portions of the flour dough and roll out into equal sized pooris. Apply few drops of oil on one side of each poori. Now take a portion of stuffing and spread it on one poori. The stuffing should be spread up to the edges. 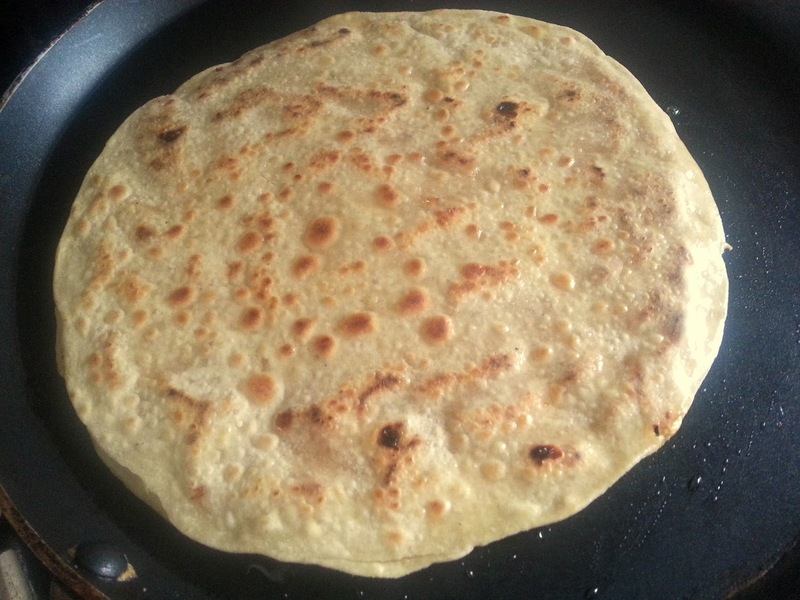 Place the second poori with oil side down over the stuffed poori. Seal the edges and dust some refined four on the platform and roll out a chapati of it. 6. 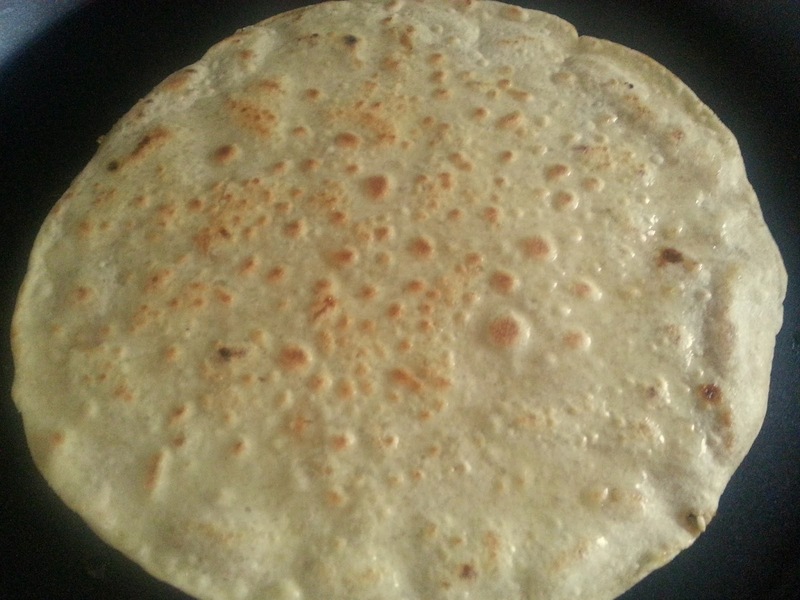 Roast the Gulachi poli on a heated griddle on a low flame until nice golden brown spots appear on both the sides. 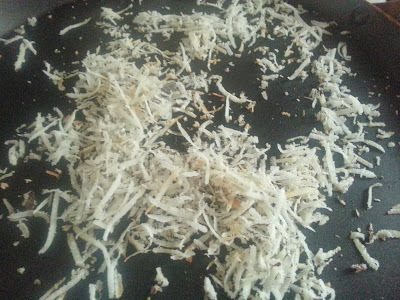 Brush the poli with ghee and roast again from both sides. Remove and keep on a plate to cool down. Repeat the same procedure for rest of the dough and stuffing. 7. 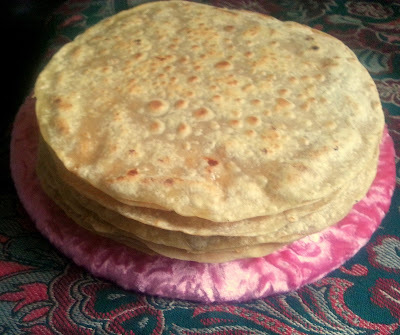 The Gulachi poli becomes crisp on cooling . Let all the poli's cool down and then keep them in air tight container. 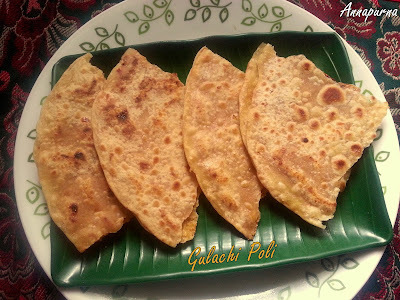 The above quantity makes 8 normal size Gulachi Poli. 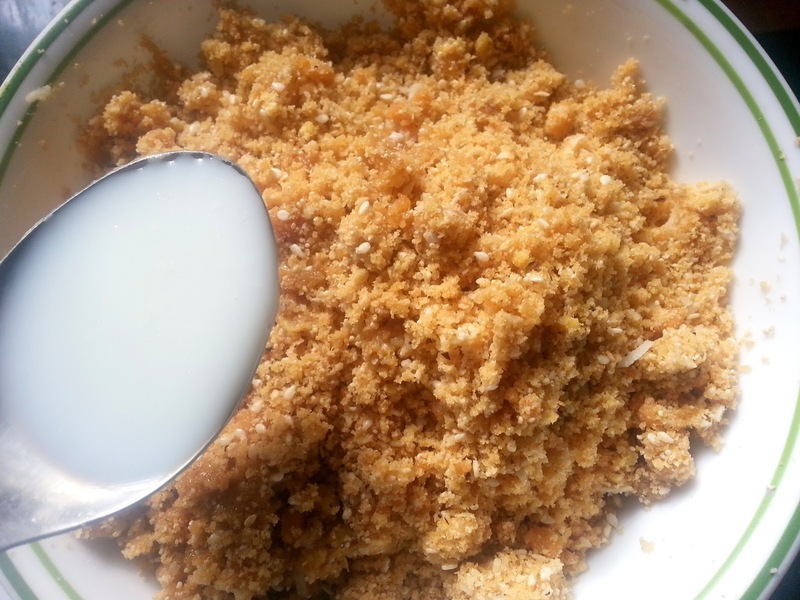 Generally this poli is eaten on cooling as a crispy sweet. 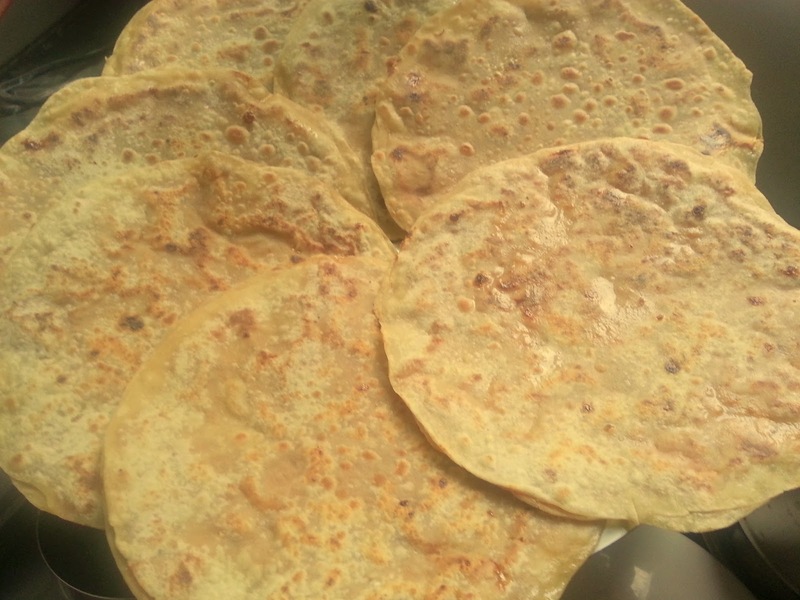 If serving hot , serve it with ghee and enjoy !! This is my all time favourite.Thanks for sharing this recipie Poonam. 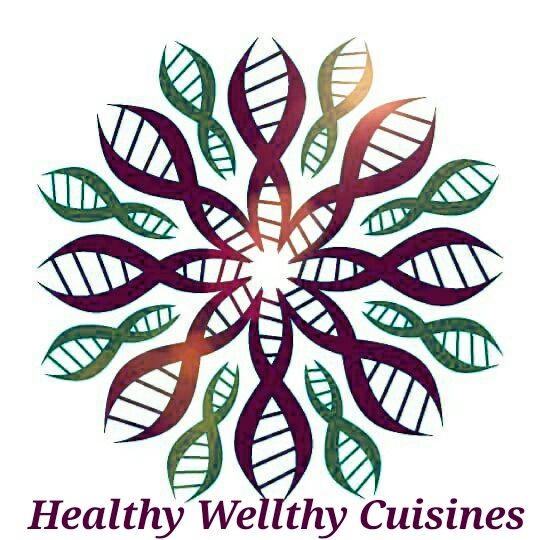 @ Rohini Pagar glad to know .Happy Cooking ! !